Have you heard of Radical Skincare? It is one of my new favorite skincare brands and it is available at Sephora. 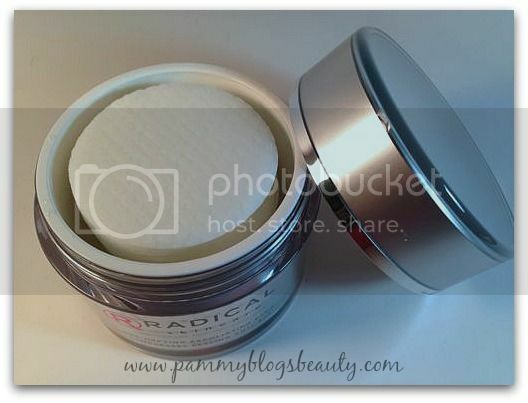 So far, I have tried the Radical Skincare Instant Revitalizing Mask, which I am totally in love with, and now the Age-Defying Exfoliating Pads. 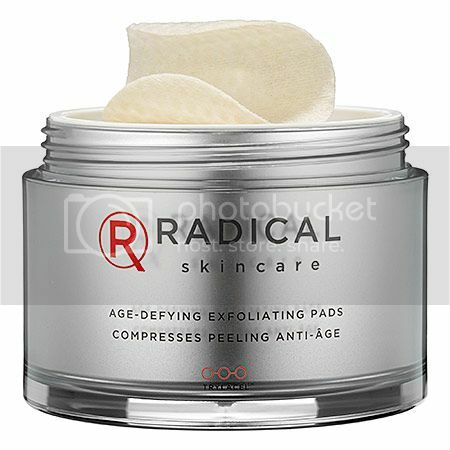 Radical Skincare's pre-moistened Age-Defying Exfoliating Pads are AHA/BHA exfoliating pads. They work to exfoliate your skin and enhance natural skin cell turnover. 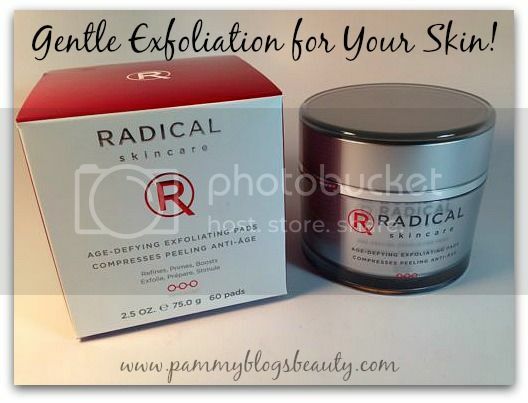 Good exfoliation will help your anti-aging products to work better! In addition, these pads contain hydrating ingredients and soothing ingredients like chamomile. So, these pads are even good for sensitive skin (like mine). I use these pads at night after cleansing my skin with a mild cleanser. I simply swipe a premoistened pad across my face. Then I follow with my regular treatment serums and moisturizer. I use these about 3 times a week. I absolutely love using this exfoliating pads! They are one of the quickest and easiest methods to exfoliate your skin. It only takes a few seconds to gently swipe these pads across my skin. These are quick yet they also pack in some great results! My skin seems much smoother and more clear. I literally have not had a single breakout while using these. Granted my skin does not break out much. However, I have not even had one little blemish while using these. My skin feels super soft and I feel like my fine lines are diminished as well. Plus, while these pads are packed with AHAs and BHAs, they do not irritate my sensitive skin at all! I love how these feel on the skin! After using, your skin is left feeling like there are little fizzy bubbles popping on it. The feeling is not quite as bubbly as the Radical Skincare mask that I tried, but there is a slightly "effervescent" feel to the product solution. You all know that I am short on time with my nighttime skincare routine. With an infant in the house, I usually just want to get ready for bed quickly because I am so tired. These pads really help because they give my skin the awesome benefits of exfoliation while also being super quick and easy to use. I love that!! !